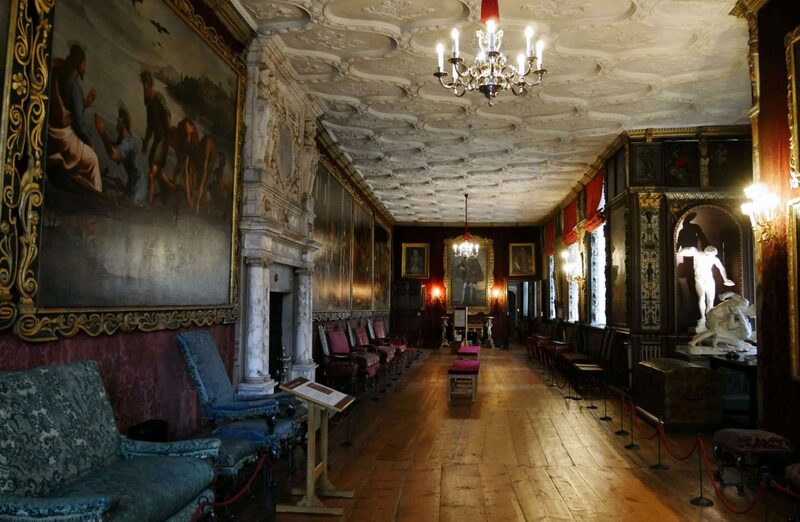 Knole’s £19.8 million conservation project for this 600 year-old property, the largest ever undertaken by its owners the National Trust, was firmly focused on ensuring that its aesthetic is empathetic to its heritage and is historically accurate. In the Cartoon Gallery named after the Raphael cartoons that hang in this the longest of Knole’s galleries, we manufactured bespoke chandeliers to designs by the lighting designers, Sutton Vane Associates. They were cast in solid brass and hand finished in silver in a traditional Knole style that was adapted to include LED spotlights fitted to the baluster which are used to highlight artworks. The chandeliers replicate those that previously hung there, evidenced by historic photographs and archival material. Knole chandeliers have been extensively copied and adapted by many companies. Dernier & Hamlyn’s vast online collection gave the lighting designers a wide choice of styles and finishes and allowed them to select exactly the style and finish they wanted to suit the house’s interiors and brief.